Selfies are ubiquitous, so why not take the best ones possible? There are plenty of apps out there that seek to improve your looks — YouCam Perfect and FaceTune immediately come to mind, but there are tons of others. One might think that with the wide variety of selfie apps out there, someone would happen on the perfect one and we’d be done with the genre. No way. The fact that people have different selfie goals for different occasions seems to keep this category brisk. Some apps aim to enhance your natural looks while others try to beautify by changing your looks or adding makeup that you are not wearing. 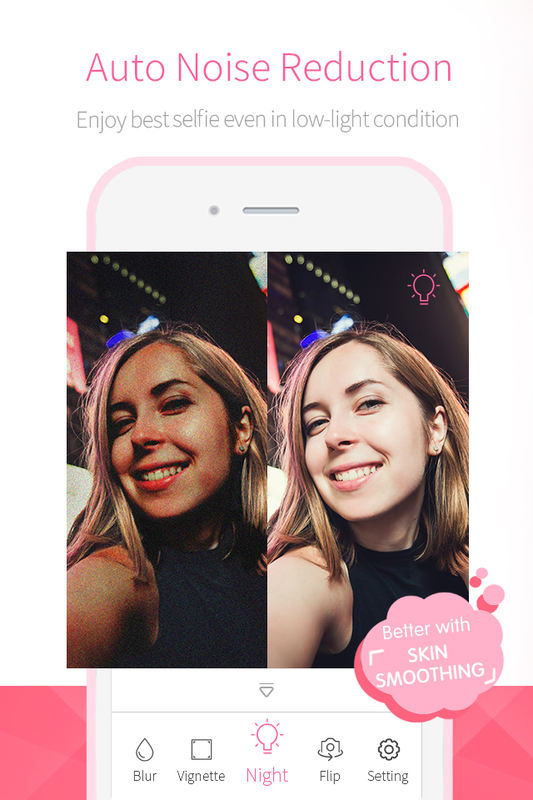 Bestie, a new app launched today on iOS and Android by the makers of Camera360 is trying its hand at a selfie app that more or less fits the first example. Who do you want to be? Alice, Izzy, Piper or Vivian? There’s 22 more mood filters you can try on your self portrait. The app’s main feature, targeted to women, offers a one-tap filter with 26 mood variations or personalities, each named for a different woman. An auto noise reduction function for the night mode lets you snap selfies in low-light environments. Effects like vignette and blur highlight an image’s focus. You can shoot a picture on the spot with the app or pull up a picture from your Camera Roll. Bestie lets you do as much or as little as you want with your portrait. A slider bar gives you full control over features like skin smoothness, acne control, face slimming, eye enlargement, nose slimming (which did nothing that I could see) and other popular controls. A little feature point lets you pinpoint exactly where you want a specific skin correction. Bestie won’t augment your looks with any makeup features, so this is something to use if you want a natural enhancement. I was not blown away by Bestie’s capabilities — but with a few strategic taps, I was able to improve some shots just a tad — and that was fine by me. Bestie is free, so there’s no risk giving it a go. Besides, you may just find the filter that expresses the essential you.